The AS-IS Long Drive PeeCock Gen3S 4.75inch Uncircumcised has overdone airbrushed color that is way too dark for Light Beige base color. They are in a PERFECT WORKING CONDITION and durability except for the wrong airbrushed color. 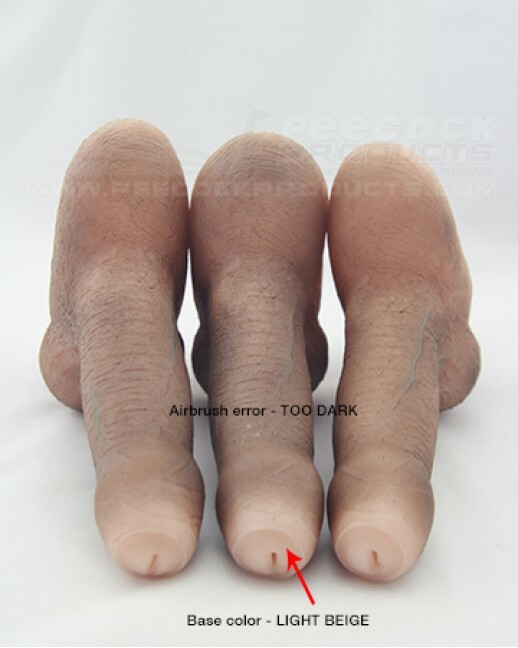 Enjoy 50% off these comfortable packing size PeeCock Gen3S 4.75inch Uncircumcised. Available only in Light Beige base color skin tone (while stocks last).